The Wikipedia Year of Science is a massive effort to mobilize students, instructors, and libraries from higher educational institutions to improve Wikipedia’s coverage of science. We’ve met countless scientists and supported the work of thousands of students in the USA and Canada. With the Year of Science entering the second round, we wanted to look back on the impact we’ve seen so far. 1. Millions of people have access to better science information. Students worked on Wikipedia articles seen 163 million times. That’s millions of people finding scientific information that’s been written by students, drawing from reliable academic sources, contributed under the eye of an expert (the instructor), and shared with the world — and we’re only six months into the year. 2. Thousands of students practiced real science communication. More than 4,000 students developed science communication skills by writing for one of the most-read websites. That’s experience communicating research to the public in a meaningful way. Consider Wikipedia’s article on Geobiology, which was scant when Caltech student Alice Michel took it on as an assignment. She worked to make the article actually express what her field is and does. Now, she’s the author of one of the top-three sources of information about Geobiology on Google. And she’s just one of the 4,000 stories we could tell. 3. More women are contributing to Wikipedia. 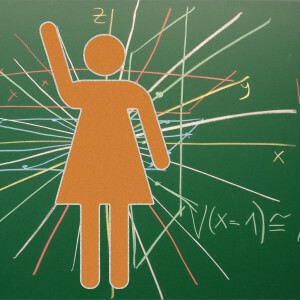 More women are contributing to Wikipedia’s science articles. While Wikipedia’s volunteer editor base is estimated to be 90% male, Wiki Ed students are about 68% women. When higher ed courses edit Wikipedia, it means more women are contributing. That leads to better coverage of women scientists, women’s health, and women’s interests that are otherwise neglected. It’s also a chance for young women scientists to flex their knowledge in public. That’s an empowering experience. 4. We boosted Wikipedia with reliable, quality science content. 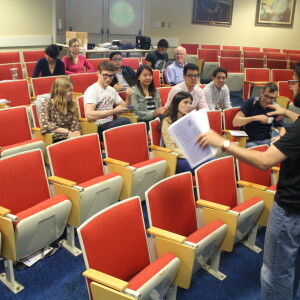 Student editors added more science content to Wikipedia than any other group of Wikipedians. A full 6% of science coverage contributed at the end of the spring term came from our student editors. That’s six percent of new science content on the largest volunteer-written project on the planet. These students contributed three times as much content as the average Wikipedian. And they did it in fields that are often neglected on Wikipedia: Students improved access to information on science topics ranging from biology to environmental sciences to geography to the history of science and beyond. 5. Notable women scientists are being recognized on Wikipedia. We’ve seen incredible articles about women scientists that may otherwise have never seen the light of day. That includes women such as Jadwiga Lenartowicz Rylko, who saved lives while imprisoned in a Nazi Concentration camp. It includes Eugenie Clark, “The Shark Lady,” who helped to promote marine conservation. It includes Mercy Jackson, one of the first women to earn a medical degree. These women are among others who are better represented on Wikipedia, where they can serve to inspire a next generation of doctors and scientists. We’re helping to bring women to Wikipedia, and we’re helping improve science articles about women on Wikipedia. 6. We’re improving Wikipedia’s articles about health. Students made medical articles on Wikipedia more reliable. More people turn to Wikipedia for health information than any other website. That’s a source of panic for some, but others, such as Dr. Amin Azzam at UCSF, see an obligation to make sure the information is accurate. Medical students have access to medical journals and supervision from a healthcare professional. They’re contributing solid, verifiable knowledge about health to the public. That ranges from medical conditions to health policies. 7. We’ve created a suite of resources for students, for now and the future. To help empower students to write better science articles on Wikipedia, Wiki Ed has produced printed guides. These guides help students create or improve articles on biology and chemistry, genetics, and environmental sciences. They’re available digitally too, for anyone interested in improving science articles on Wikipedia. Printed copies are available for students participating in our Classroom Program. Finally: An impact on Wiki Ed. Of course, the Year of Science has had an impact on Wiki Ed, too. The first term of the Year of Science has been the largest set of students we’ve ever supported. We’ve scaled our support and developed tools to sustain further growth, without compromising the standards of quality that Wikipedia requires. New online and printed tools for classrooms, stronger staff support, and a deeper connection to the science community have made Wikipedia’s support for STEM projects better than they have ever been. Topic areas outside of STEM and the social sciences are benefiting from those resources as well. Won’t you join us? If you’d like to work with us to expand the Year of Science, we’d love to hear from you. Whether you’re a higher education instructor looking to bring Wikipedia into your course, a librarian looking to expand access to your special collections with a Visiting Scholar, or you’re interested in offering financial support, reach out to us: contact@wikiedu.org. Photo: Learning is hanging out (cropped) by Alan Levine. CC-BY 2.0 via Flickr.